Between office parties, friend get-togethers, swanky fundraisers, family obligations and festive brunches, (not to mention those extra hours at work that always seem to pop up at the wrong time) your calendar until 2019 dawns is probably fairly close to full already. What’s important during these times where everything is a little extra is to put self-care front and center. That can mean anything from coming up to our Morningside Heights location for a Tulasāra facial, or just doing yourself the favor of booking ahead for your holiday party blowout so you’re not the one with tragic hair right in the middle of that huge group photo. Plan ahead? What’s that, you say? If you’ve ever tried to book a last-minute salon appointment in December, you know why we are telling you that booking ahead is the one absolute essential action you need to take to keep your holiday style on point. It’s not hard or time consuming, but it sure will save you a lot of grief later. Grab your calendar NOW, figure out when are the times you will need a cut, color, blowout, makeup application, facial, whatever, NOW—and book those appointments NOW. Don’t wait ‘til you see your roots starting to grow in, because by then it’s too late. Because we promise you, during December, our books fill up faster than Santa’s lap. —If human interaction is your jam, just give us a call during regular business hours and we’ll set you up. Here are our locations and their respective digits. And while you’d love to make an appointment for every holiday shindig, we both know that’s not gonna happen. So here are some cool photo-ready hairstyles you can achieve yourself, that work for a variety of December festivities. In New York, holiday parties are all about making a statement. The glam waves and red lip in this tutorial by beauty vlogger Jackie Wyers just scream holiday cheer. Old Hollywood is never the wrong style choice. Chloe Coriolan has the perfect technique to create the big, loose, red carpet waves from the heyday of the silver screen. Going to a party that’s more craft cocktail in a loft than black tie at the Plaza? The boho chic trend is where we land for these occasions. Blogger Emily Elizabeth has tips on achieving a great half-up, half-down style that’s relaxed, yet still looks artfully put together. Now that you’ve booked out your Scott J appointments for the holidays, remember we’re going to also be a one-stop shop for those times when you’ve got to grab a little something-something for your party hostess, significant other’s mother, Secret Santa, or long-lost friend who’s in town. 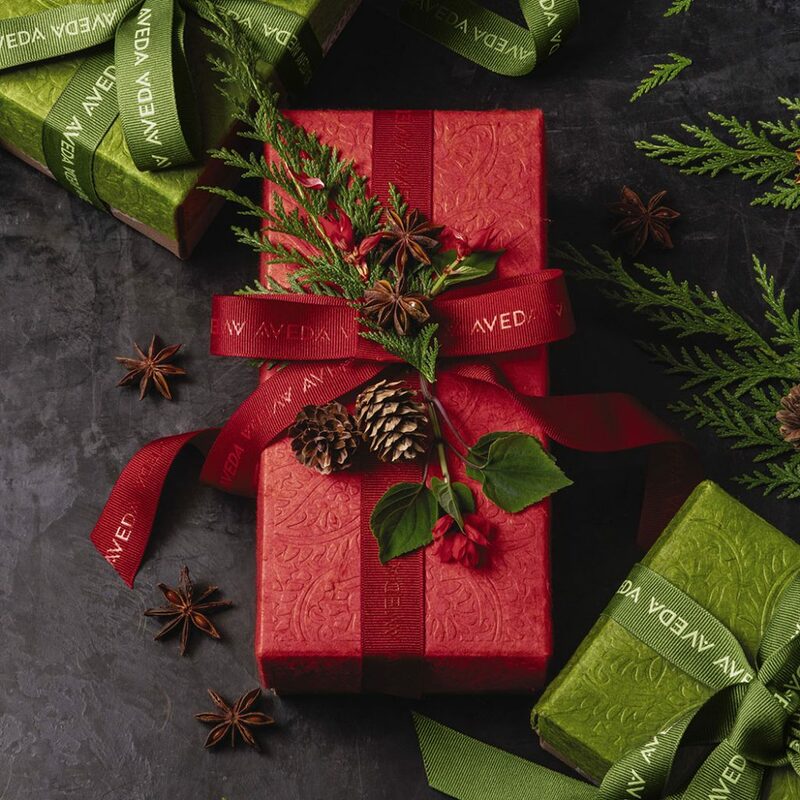 Pick up a pre-wrapped Aveda gift set in whatever price point suits the occasion, and watch them light up with that special glow that only deluxe, heavenly smelling products can give. Or, cut to the chase and get them a Scott J gift card, because who doesn’t love to look and feel amazing while getting VIP treatment? Got your game plan down? Good. See you in the madness!